If you’re reading this, probably you have a dog. Or you did. Statistics say that everyone that grows up with a dog, will have dogs throughout life. But we change with time, and so does out lifestyle. And what was the perfect dog breed for us as kids, it’s not the best option when we’re on college, or working maniac hours, or maybe while we’re living in a very small apartment downtown. Most people make unwise decisions about the dog breed they want as a pet, sometimes because they don’t really know the breed and other times because they like the breed but it does not fit in their lifestyle. In the end, this result in unhappy dog owners and dogs confined for life in crates or kept on a chain, or ever worst, in overpopulated animal shelters. In this post we tried to list the best dog breeds for the main lifestyles in today modern cities. 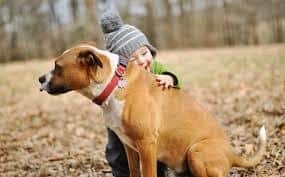 Even though most dogs can live with kids, and be bff, some breeds are specially tolerant with the rough plays, or behave like kids themselves. Golden retriever: Probably, the most playful of all dogs and perfect for children of all ages. This dog only wants to make everybody happy. With its sweet character and happy disposition, the Golden can be the perfect babysitter. If you want a guardian dog, you need to look somewhere else, because everybody is a good pal for the Golden Retriever. Boxer: Forever a puppy, the Boxer is a great playmate for older kids that can play though sometimes. Dynamic and full of energy, keep in mind that this dog needs a lot of exercise everyday. It likes to be the boss, so a proper socialization is needed while growing up. Bobtail: The most famous shepherd in the cartoons, the Bobtail has a very patient nature, and it’s intelligent, social and adaptable. The American Kennel Club describe it as “of clownish energy”. Now a days its docking is banned in most countries. If you ideal Sunday is spent on the sofa watching old movies or reading about the mating dance of the Mandarin Duck, there’s a group of dog breeds that don’t need a lot of exercise and love the sedentary life. English bulldog: This breed is the national icon for many British people and it symbolizes determination. It’s a stubborn animal, but also very loyal, kind and devoted to its owners. 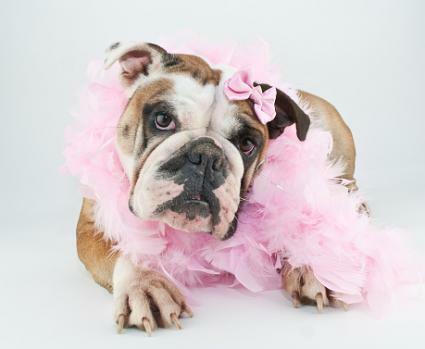 As other brachiocephalic breeds, the English Bulldog often suffers from respiratory stress when exercising. It’s a quite dog that love to snore the days away. Galgo or Spanish Grayhound: This breed is famous for speed and agility, but it have been selected for sprints, no endurance. They are very friendly with other dogs and even cats. Galgos are very timid and gentle dogs with a sweet character, and can be the perfect roommate for sedentary people or even seniors. Bichon Frise: These cute dogs don’t need much exercise but they are very vivacious and affectionate. They are ideal for older people, because they’ll be happy with just a little stroll through the park and can act as a alarm dog when in the house. They are famous for its merriness. Yes, there are some dog breeds that can keep up with the most tenacious runner. While any dog breed can be trained to run, specially at an amauteur level, some dog breeds have been bred to cover long distances. Today that runners are taking over most cities around the world, many are discovering in their dogs a motivational partner. Dalmatian: Used as a carriage dog in the old times, now the Dalmatian is considered the perfect cross-fitter. 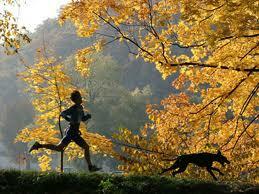 They have excellent endurance and stamina, and can run for very long distances without signs of stress. If you are considering a Dalmatian, keep in mind that they are a little bit headstrong in training. Weimaraner: This hunting breed is considered an all-purpose gun dog, used for big prays like boar or deer and for smaller animals like rabbits. The Weimaraner is an athletic, well-build dog prized for its physical power and with a strong desire to work. They are quick, durable runners but also can sustain high mileages. Malinois: Sometimes considered a variety of the Belgian Shepherd dog, this breed is being used as a working dog for many armies and police forces around the world for its trainability, work spirit and protectiveness. They can keep a puppy-like energy till the age of 3, the Malinois will make a great running companion at just about any distance. Assistance dogs are trained to help a person with disability, and they can be service dogs and facility dogs. While the service dogs do tasks to help a particular person, facility or assistance dogs are used by professionals to aid multiple people at the same time. Example of service dogs include guide dogs, hearing dogs, medical response dogs (they alert their diabetic handlers of too low blood sugar levels), seizure dogs (they aid during or immediately after a person’s epileptic seizure), autism service dog (these dogs are trained to aid an autistic person), mobility assistance dogs (they aid physically disabled people) and many others. On the other hand, common examples of facility dogs are courthouse dogs (they work assisting crime victims or witnesses during trial) or the ones in healthcare environments (therapy dogs trained to provide comfort to people in hospitals, nursing homes, schools…). Labrador retriever: It’s one of the most popular breeds around the world, and they are frequently trained as service dogs because of their good work ethic and well-balanced temperaments. These two qualities, the steady temperament and their ability to learn, make the Labradors a breed perfect for search-and-rescue, drug and bomb detection and as a service dog. German Shepherd: They were developed originally for herding sheep, but from that time, and because of their intelligence, trainability and balanced character, they are chosen very often as the preferred breed for many types of work like search-and-rescue, police or disability assistance. Its devotion and courage are legendary, and they can be extremely versatile. 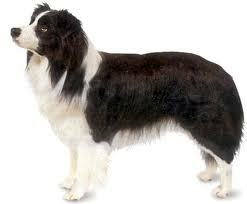 Border Collie: This breed is considered very intelligent, athletic and extremely energetic. It ranked first in the Stanley Coren list of breed intelligence. These dogs require more mental stimulation than many other breeds and their stamina can be exhausting sometimes. When it comes to guarding your home, there are 2 kind of dogs: the barkers, that will let you know there’s someone around, and the guardians, that will do something about it. Although most domesticated dogs have a tendency to protect their family and home, there are some dog breeds known for their protective instinct. They are territorial, and posses the strength and courage to keep the ones they love safe. Doberman: This breed was created by a tax-collector that was looking for a dog able to protect him and that looked intimidating at the same time. Now a days, however, Dobermans are considered loyal, watchful and obedient, what makes them perfect for guarding, specially big properties because of their great speed. Rottweiler: When properly socialized from a young age, they’ll grow to be very loyal to the family and they’ll make best guard dogs for your home. And also, because of their bad reputation, intruders are likely to flee the scene when facing a Rottweiler. Of good-nature character, and placid in their disposition, Rottweilers are a powerful breed with well-developed genetic guarding instincts. 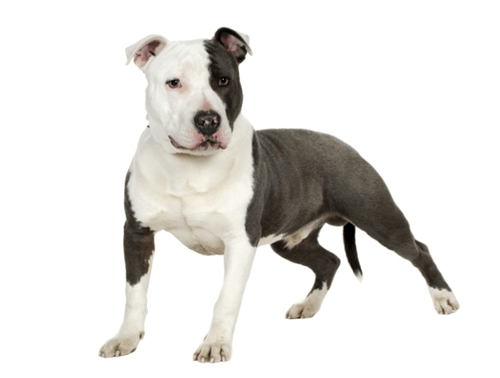 American Pitbull Terrier: Many countries have enacted some form of breed-specific legislation on pitbull dogs, including the American, varying from outright bans to restrictions and conditions on ownership. However, these breed is considered by many as an example of what happen with a good dog in the wrong hands. In general, the APT is a eager to please breed that make excellent family companions and will guard their home with care. Most working and hunting dogs, like Labradors, German Shepherds or Border Collies, are not suited for someone who works many hours because they need attention, mental stimulation and physical exercise. Dogs in general are social creatures used to live in packs. But to be true, some dog breeds need more social interaction than others, and some are even almost cat-like, making them perfect for those who spend most of the day at the office. Shih Tzu: This small dog is friendly and good-nature, and it doesn’t mind to be left alone from time to time. It’s a perfect option for novice owners because of its kind and sweet temperament. Too friendly to be a good alarm dog. Chow-chow: Some people describe this breed as feline for its independence, quite nature and scowling expression. They tend to attache deeply to one or two members of its family. 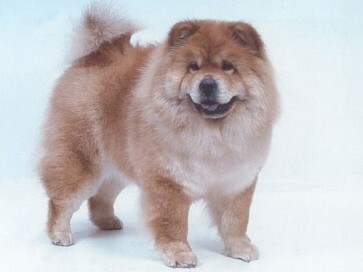 Aggression can be an issue with Chows, and they are not an adequate breed for novice owners. Miniature Schnauzer: Easy to train, the alert, spirited and friendly Mini Schnauzer can be a perfect companion if you need to leave it alone on a regular basis. They can be excellent watchdogs but more incline to bark than bite. A good watchdog is the one that is always alert and will bark vigorously whenever someone approaches your home. Their mission is to raise havoc, and some dog breeds do it really well. 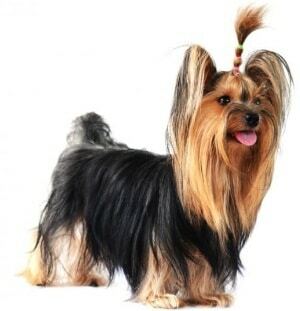 Yorkshire Terrier: This small terrier is overprotective, active, curious and always looking for attention. Developed as a working breed, specifically as a rat hunter, they need a lot of physical and mental stimulation. They may bark too much, what has to be corrected with the proper training. Chihuahua: Frequent victims of “small dog syndrome”, Chihuahuas are the perfect example of good dog bad trained, because most owners feel no need to socialization or training. However, they can be a really nice pets, easy going and very affectionate, plus the perfect alarm because they are very territorial. Mini Pinscher: Many believe this dog is just a small version of the Doberman, but it’s a much more ancient breed. They are active dogs and very curious about everything that goes on around them, being too self-sufficient sometimes. Great watchdogs as they are very wary of strangers. While there are not really 100% hypoallergenic dogs, some breeds are more easy on allergy sufferers because they produce less dander. It’s the dander what causes most pet allergies in people, although some are sensitive also to saliva and even the dog skin. If you love dogs, but have the misfortune of being allergic to them, these breeds shed very little, making them less likely to cause any serious reaction. Remember to keep a close management of the dog’s and home hygiene to remove dander and other irritants from reaching you. 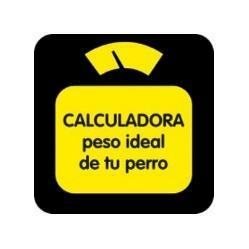 Poodle: The second most intelligent dog in Stanley Coren list. Poodles have a single layer coat of very curly fur that sheds very little and also captures all dander. They are very social dogs, and require both physical and mental exercises to keep them happy. They excel in obedience training. And you have 3 sizes to choose from. West Highland White Terrier: Also known as Westie, it’s a dog breed from the harsh Scottish land. They are very friendly animals, courageous and alert like all terriers, but also stubborn, having training issues sometimes. It’s a very popular dog breed in countries like UK and USA. Samoyed: From the large side, this breed was created by the Samoyedic people of Siberia to herd and pull sleds. They shed heavily once or twice a year, but they produce less allergens. Samoyeds are so friendly and loving that can’t be used as guard dogs. Shed Samoyed fur is used for knitting and can handle very low temperatures. They should never be bathed. Have you found a dog breed perfect for your lifestyle? Remember to take into account also size, gender, hair maintenance and amount of hair, sheds and need of attention. Before your final decition, don’t hesitate to ask for information. To have a dog is a great pleasure, but also a great responsability for many years. Don’t hesitate to send us any comment. Thanks for reading. Esta entrada fue publicada en In English el 18/11/2017 por theyellowpet.